To add a speech bubble, click on Speech Bubbles in the Step 4 toolbar and then click Add. Move and resize the bubble with the mouse, change bubble shape, text and text font with the controls on the left. Click Delete to delete the currently active bubble. 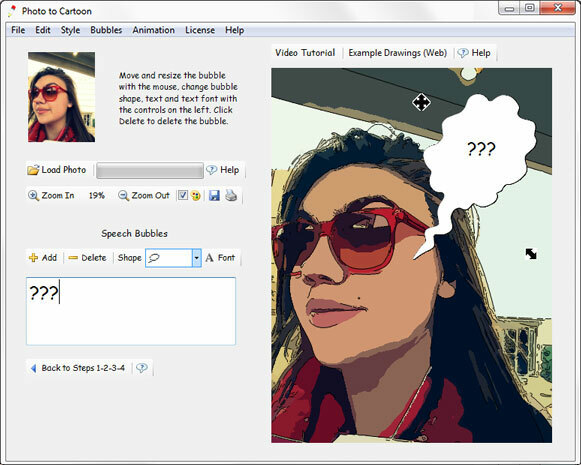 It's possible to add multiple speech bubbles; in this case a bubble can be activated for editing (or deletion) by clicking on it while in the Speech Bubble editor.